Every year I tell myself I’m going to be one of those organised mums who has Christmas sorted early. We’ve hit mid-year, and that means mid-year toy sales and the chance to layby until Christmas with retailers like Toys R Us. We’ve had a flick through their brand new catalogue and singled out the must-have toys for Christmas 2016. How much do you usually spend on toys for your kids and family at Christmas? Divide that by the 25 weeks left until Christmas and that’s around about how much you’ll need to pay each week on a layby – for a $500 spend it’s about $20 a week. Much easier than outlaying hundreds of dollars in December. Here’s a sneak peek at some of the toys destined to be on kids’ wishlists this year, and that are available to snap up now, on sale. The littlest ones in your family can be the toughest to please come Christmas – most of the time they’d prefer to play with the box or wrapping! Choosing toys that will grow with your baby is a great option – you’ll get so much more bang for your buck. 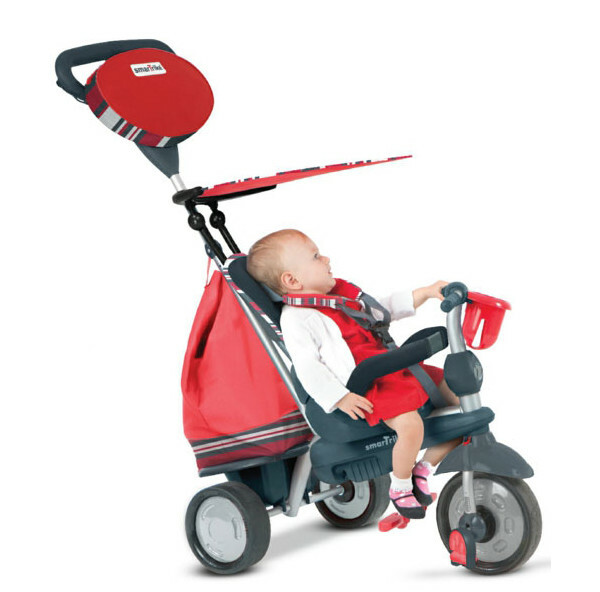 Your baby can enjoy a safe, fun ride from just 10 months old in one of these beauties. The dynamic design of the SmarTrike means it changes along with your child, and can be used just like a stroller for walks and quick trips to the shops. It’s on sale for $149.99. This little guy is another grow-with-your baby option. 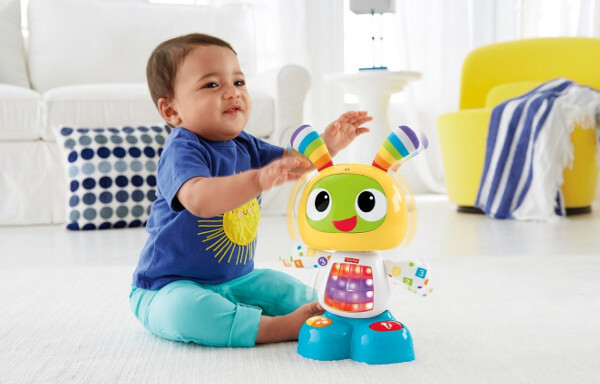 Suitable from nine months, Beatbo has three different modes – the Dance ‘n Move is perfect for younger babies. Later on it can introduce them to the alphabet, songs and colours, and even has an interactive option. You can grab it for the sale price of $47.99 in the current Toys R Us sale. Six months is a long time in toddler land – they develop so much in one week, let alone half a year. So you need to plan ahead for Christmas, by choosing toys that will engage them beyond their current fascinations. If your little one is going to be around the 18 month plus mark at Christmas, this is a ripper to put away. It’s a Toys R Us exclusive, and has five different sides to keep toddlers engaged with things like spinning gears and a tracking maze. And if you hurry, the Imaginarium Cube is currently half price – coming in at $44.99. This is a great crossover toy if you have both toddlers and preschoolers in your family. 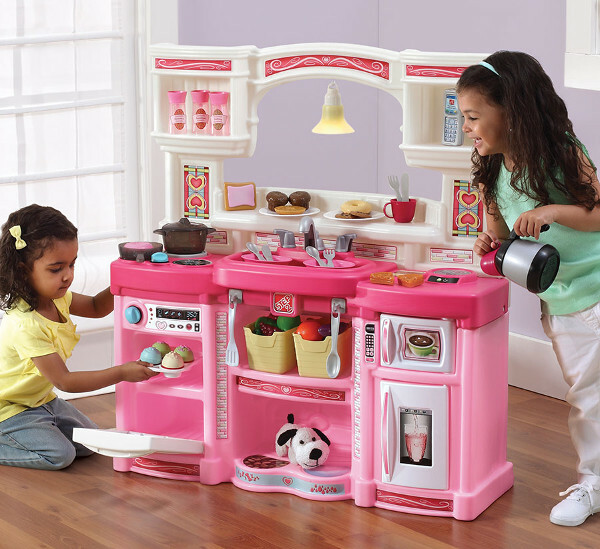 The Rise and Shine Kitchen is suitable for children from two to six years old, and creates a haven for pretend play. It also comes with everything your little chef needs to whip up a feast (41 accessories) and is on sale for $179.99. It’s such a huge moment when your child heads off to kindergarten, and if your preschooler is about to celebrate their last Christmas before heading off into the wide world, they’ll no doubt love these toy options. Those getting towards the end of toddlerhood will love their own high tech toys, and there are some great, educational options available. 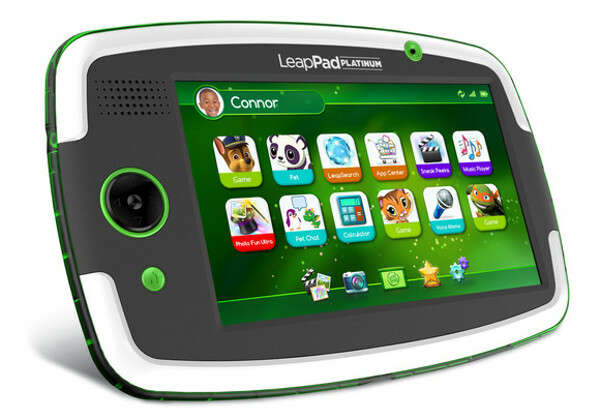 The LeapFrog LeapPad Platinum is a brilliant introduction to the world of tablets, with a big screen, Wi-Fi access to child-safe web and a huge library of games, apps, videos and more. You can snap one up in the current Toys R Us catalogue for $159.99. My youngest car enthusiast has his eyes set firmly on one of these six volt ride on Combi Vans – he’s desperate to see a rather large box sitting under the Christmas tree this year! Get organised and pre-order one of these beauties, which are available at the special price of $229.99 for Toys R Us VIP members. Take a look at the video above to see just how cool these vans are! Keeping children engaged once they’re at school can be tough – especially during the school holidays. Plan ahead, and pick some entertaining and engaging toys that will keep them busy over summer 2016/17. I can just about guarantee that if you get your kids a great quality trampoline for Christmas, you’ll barely see them for the entire holidays. 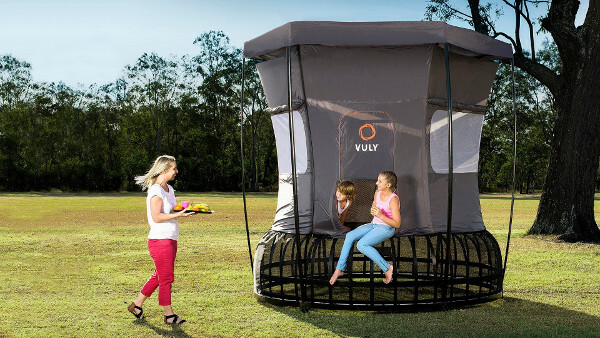 If you grab this Vuly Thunder Summer Trampoline deal – where you also get a trampoline tent – you may not even get them back inside at night! Safe and fun, the kids will get years of enjoyment out of this. The package deal starts at $1599 for a medium trampoline. A sturdy outdoor playground is the gift that keeps on giving. The kids will always discover new ways to play and explore, especially if you set up one of these incredible options, which even includes a cubby. 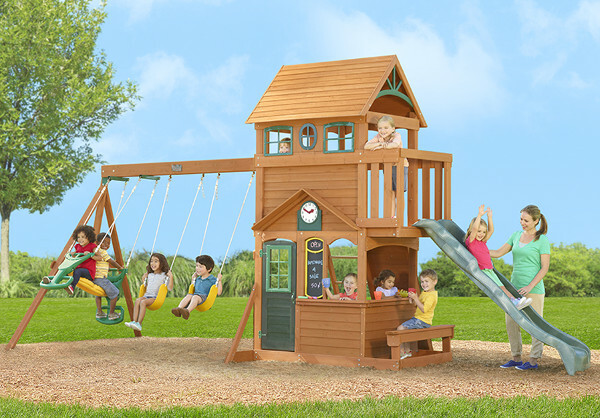 The Ashberry Play System takes all the things kids love playing with at the playground, and integrates them into one unit. You can pre-order one now for the special price of $1499.99, and it will be delivered in early December, which means you’ll have plenty of time to set it up, ready for Christmas day. So there you have it – some small and big ticket items that you can layby now, to make Christmas so much easier. Just keep in mind there are some terms and conditions when it comes to any layby – if you’re planning on taking one out at Toys R Us, just remember that the minimum spend is $200. If you hurry and grab these deals before July 12, Toys R Us will waive the usual set-up fee. So what are you waiting for? Get shopping!